Coke may “open happiness” but beer’s better for quenching thirst than sugar water in 85 degree weather with 85% humidity. 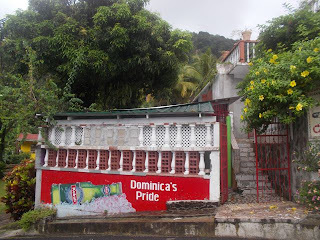 While Coca-Cola (but not Pepsi or to Wayne’s woe, Coca-Cola’s Mountain Dew, diet or otherwise) is very visible here, U.S. beers are brand lightweights, virtually non-existent in the Caribbean. 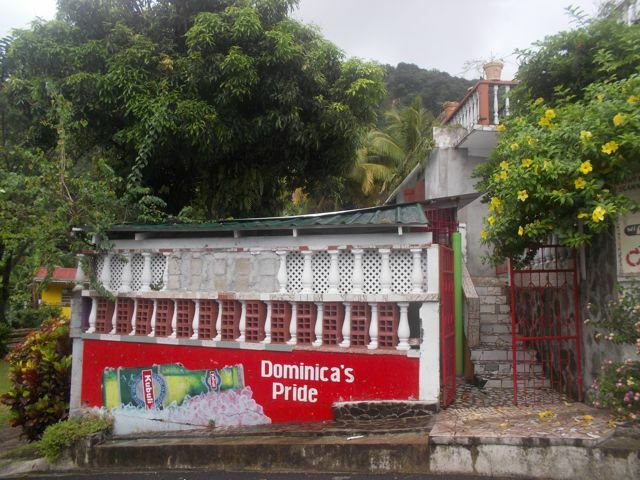 Instead, beer brands are for the most part, a matter of local pride. The winners are obvious, well, usually…. 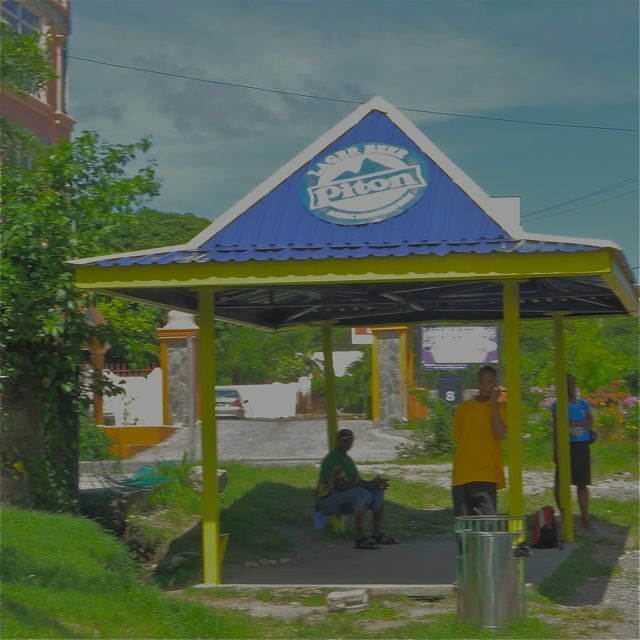 Piton Beer… on bus stop signs, tavern signage marked by Piton, sometimes with name on the Piton sign. The Pitons are St. Lucia’s picturesque volcanic peaks. Kubuli… need to confirm what that means and update this. Caribe … they’re the bad-asses who ferociously fought and successfully kept the Europeans at bay when other natives welcomed them with open arms… and like so many natives, paid the price. Heineken is both prominent and ubiquitous (and even part of the MS Word spell check dictionary! ), with Coronas a distant second. have noticed this is .. empty. Desperado… a beer-tequila mix from France. We’re in Guadaloupe now. Thus far, haven’t figured out what “hops,” locally, for here or “Les Saintes” a group of adjacent islands which are part of Guadaloupe, but its own entity as well. Rum may rule the roost when it comes to Caribbean libations, but the region also boasts a rich array of beers, each as distinctive as the islands they call home. On this particular Friday, we’re jonesing for a light, refreshing Biere Lorraine. 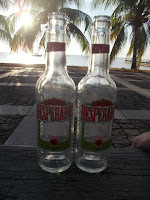 Ever since 1919, when an enterprising French engineer named Rene de Jaham decided in the wake of WWI that it would be a good idea to brew beer in the French West Indies, Martinique has been blessed with one of the region’s finest lagers. Jaham named his beer in tribute to the French Region of Lorraine, home to France’s richest beer-making tradition (Lorraine’s oldest brews date back to 5,000 B.C.) and the place where he learned the beermaster’s craft.